The NoCo Arts and Cultural District – aptly named for its location North of Court Avenue – is Jeffersonville’s newest and most colorful point of interest. 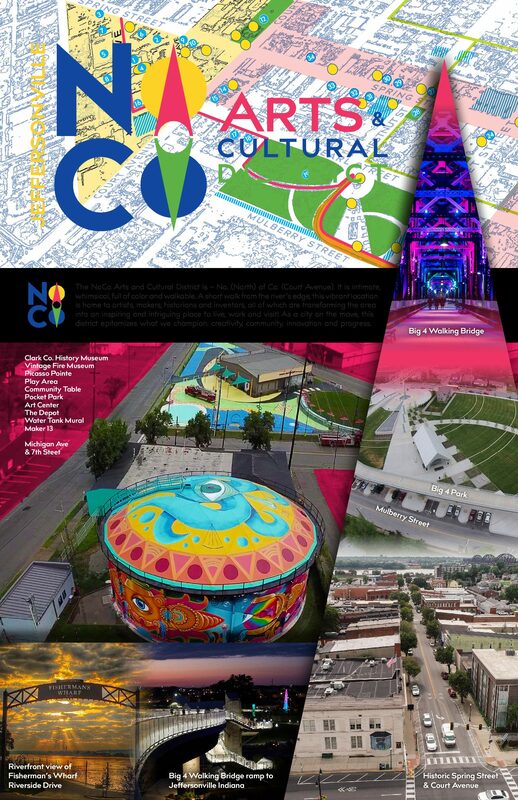 Intimate, whimsical, full of color and completely walkable, NoCo is home to artists, makers, historians and inventors who are all working together to transform the area into an inspiring and intriguing place to live, work and visit. 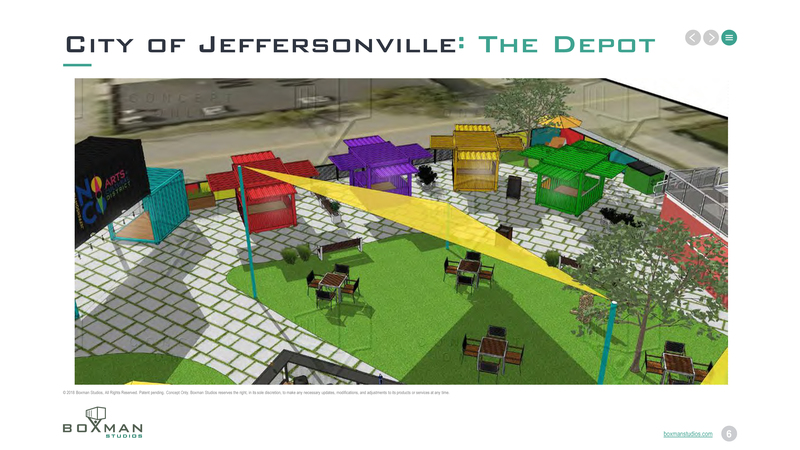 The district epitomizes what Jeffersonville champions as a city on the move: Creativity, community, innovation and progress. 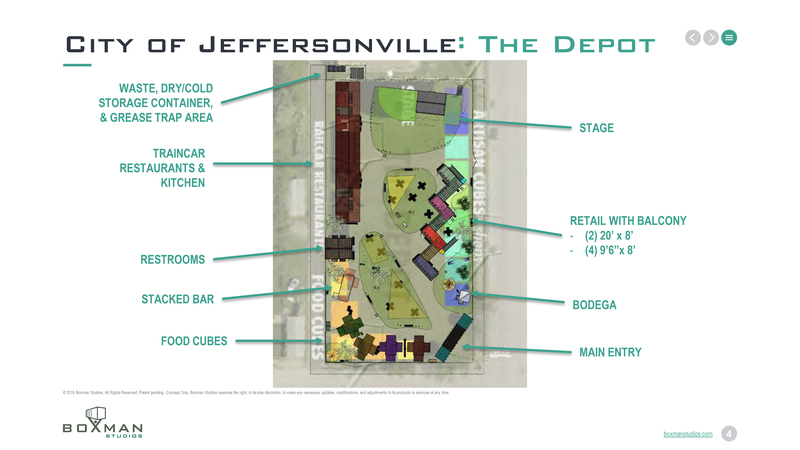 NoCo is developing within 22 acres of previously blighted area of downtown Jeffersonville. 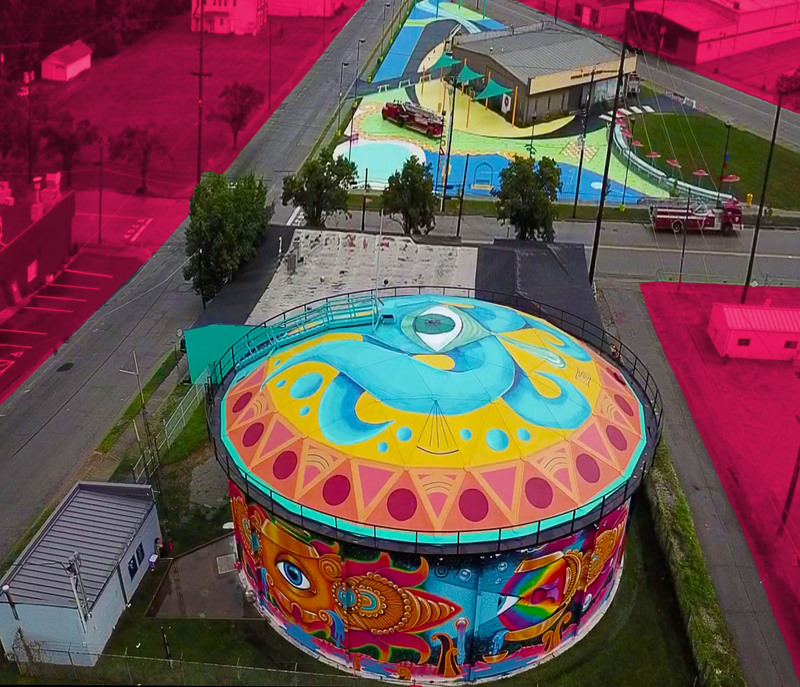 A refurbished water tank, emblazoned with fantastical, vibrant colors and a whimsical subject matter, serves as the focal point of NoCo and is a bold signal to visitors from blocks away that they are entering the heart of Jeffersonville’s creative hub. 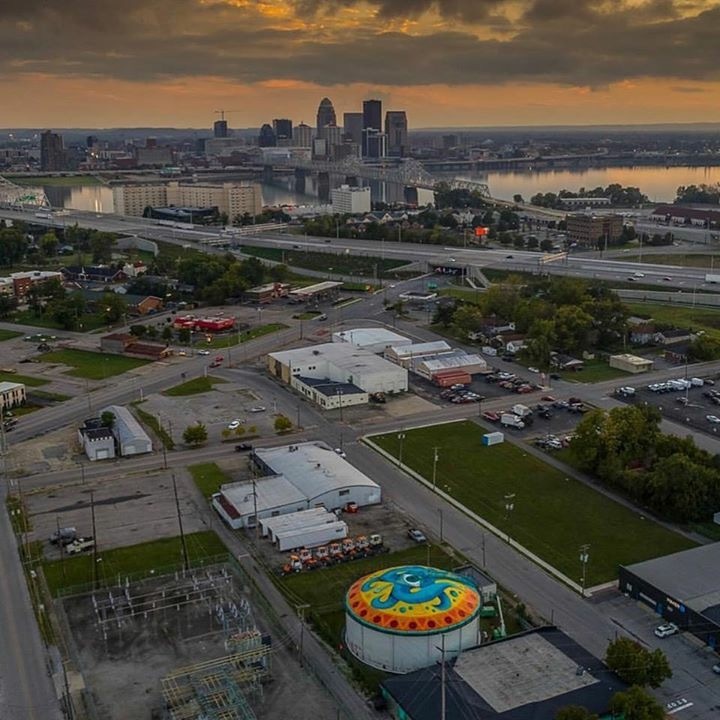 In the shadows of the water tank, a former auto body shop has been turned into a community arts center offering continuous art making activities to community members and visitors. 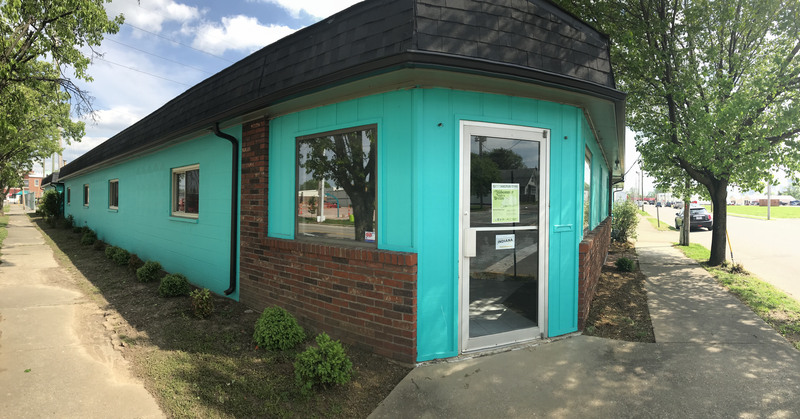 Across the street, a former office space now serves as a high tech Makers Space encouraging professional collaborations between designers, business and industrial enterprises. 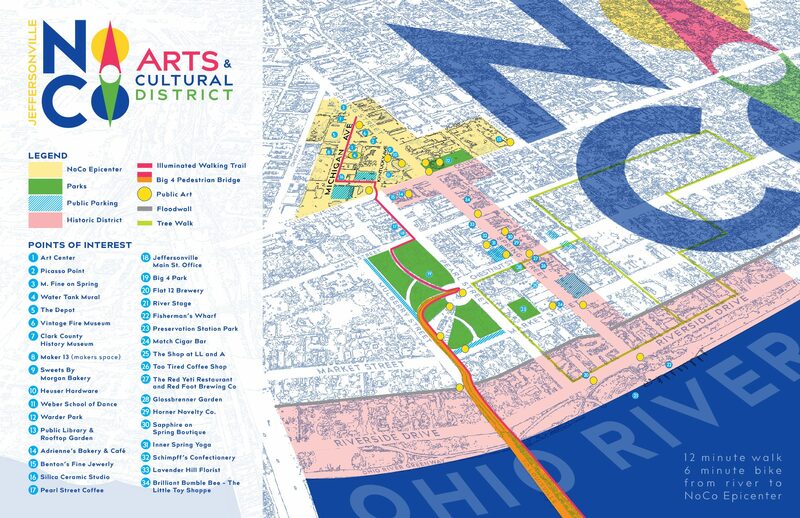 A block further north leads to a former car dealership that is now home to the Vintage Fire Museum featuring historic fire engines as well as Picasso Pointe – a family-centric pocket park filled with interactive, educational games, a 70 foot-long fabricated community table and a performance green space. The perimeter of the park is illuminated by Picasso-inspired sculptural lighting designed by local elementary school students. Just a stone’s throw away is the county’s local history museum, which has taken up residency in an old sign factory. 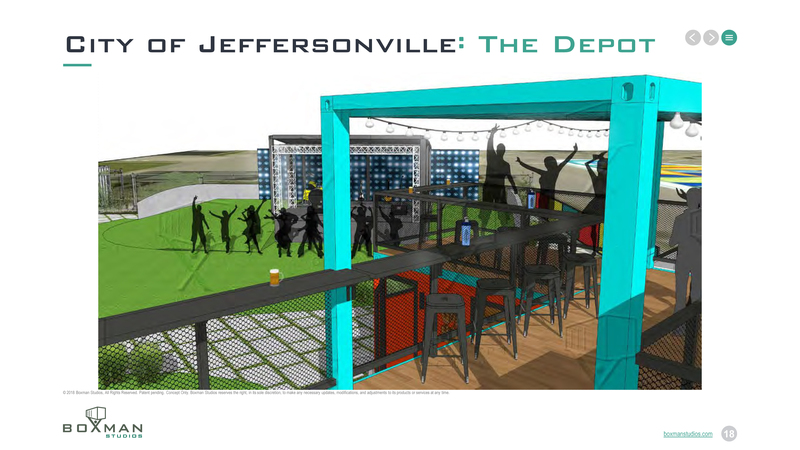 NoCo is a prime example of everything Jeffersonville has been championing for the last six years and while the area has already seen great change and re-imagination, this is only the beginning! There are still more exciting things to come! 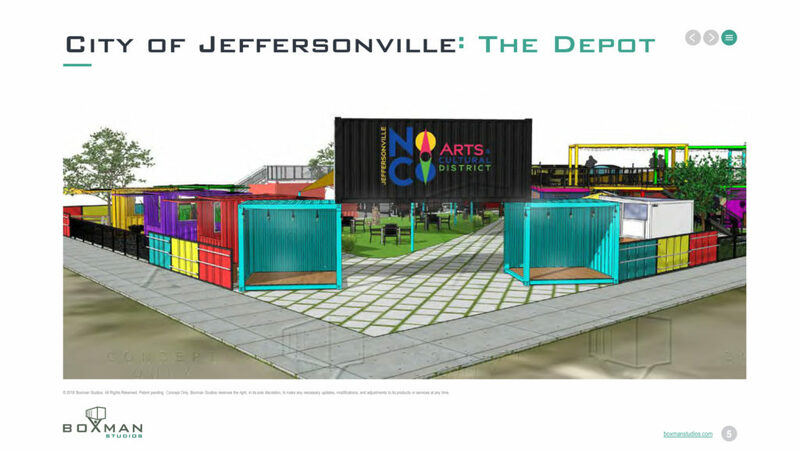 For more about NoCo, including information on upcoming activities, you can also visit jeffersonvilleart.com or the Jeffersonville Arts & Cultural District Facebook page. There’s always something happening in NoCo! 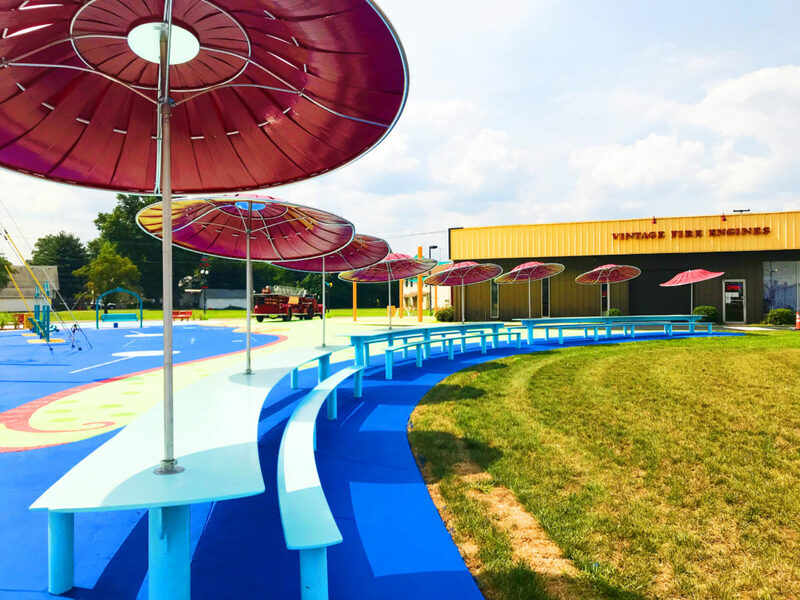 Not only are there plenty of opportunities for play in the artful pocket park Picasso Pointe, there are tons of opportunities for creative types – including a variety of art, cultural and maker’s classes for all ages. Silica Ceramic Studio offers paint your own pottery as well as special classes in various other media like stained glass, mosaic, hand building and painting classes. 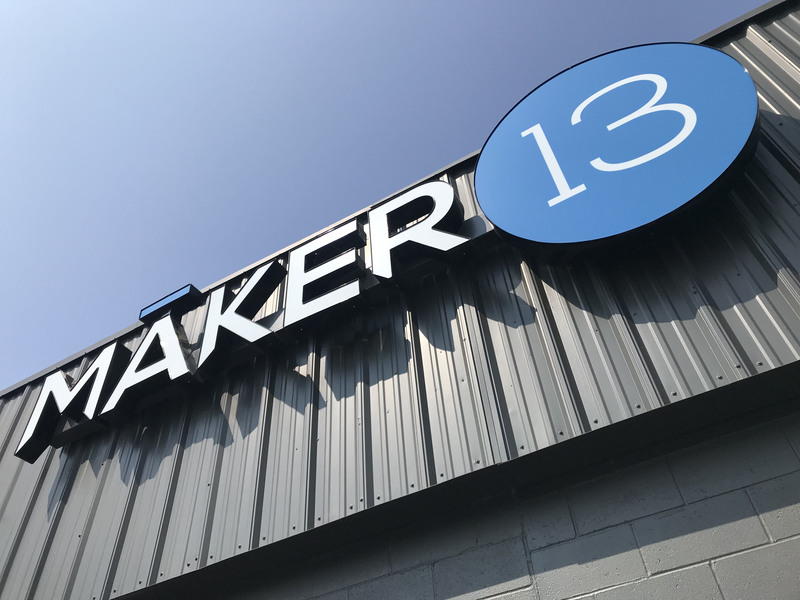 Maker 13 offers a variety of classes utilizing specific technology including 3D printers, plasma cutters and other high tech equipment. 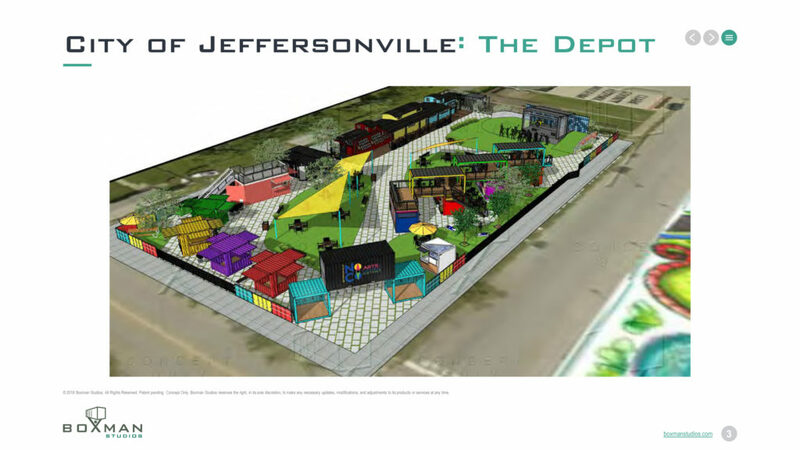 And the Jeffersonville Public Library is a constant source for cultural programming, including crocheting class, sign language class, textiles group, adult coloring sessions and essential oils class. 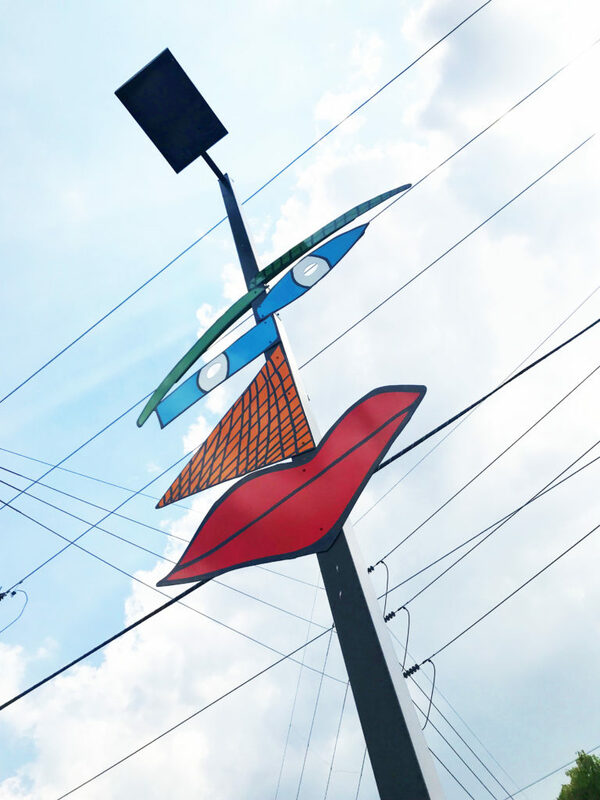 When you see new pieces of art popping up around Jeffersonville, there’s a good chance it started in NoCo! There are nine free scheduled activities in this series. They all fall into one of three categories: Demonstrations, Experiential and Workshops and will allow visitors and participants to create art, learn a skill and/or purchase artworks. 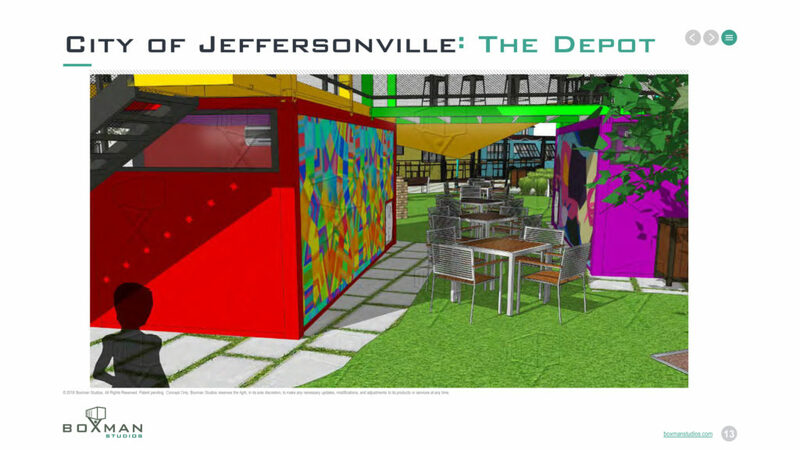 You can also keep up with Arts & Cultural District happenings by visiting jeffersonvilleart.com or look for Jeffersonville Arts & Cultural District on Facebook. 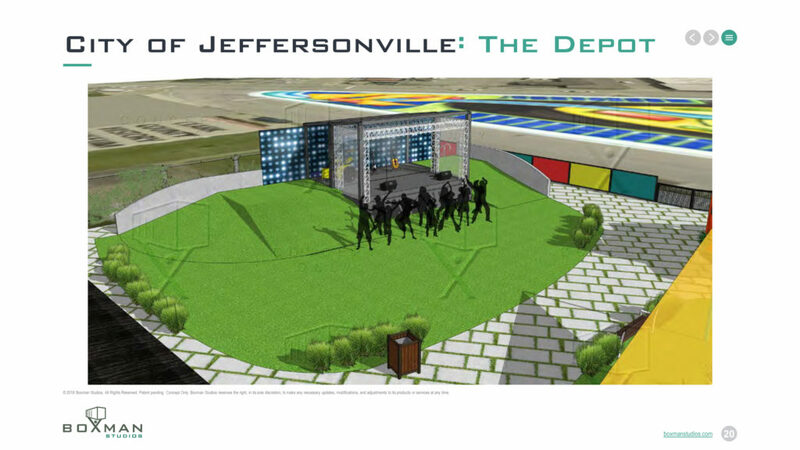 The City of Jeffersonville has built its Arts & Cultural District from scratch – little by little over the last six years – through public art projects, community engagement, cultural programming and collaborative efforts among a myriad of civic groups, city department and community volunteers. While great strides have been made and a unique, enriching experience has already taken shape, there’s more to come. 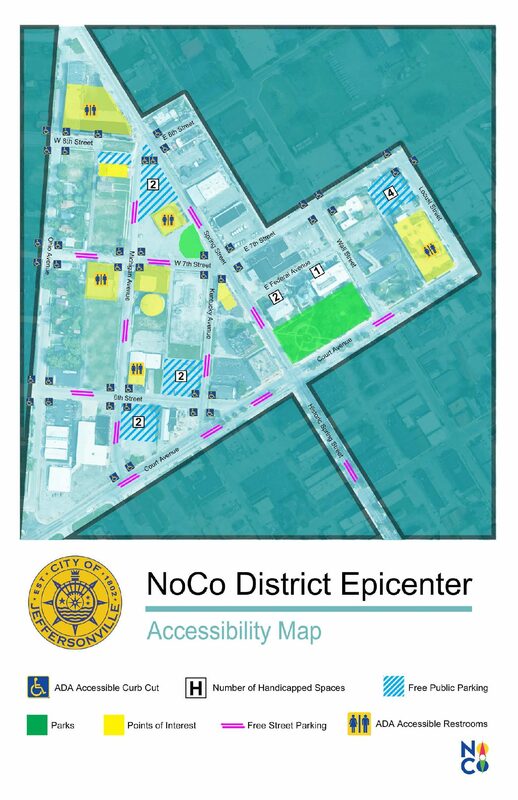 NoCo is still developing and will continue to evolve and change every year. The next phase is a particularly exciting one. 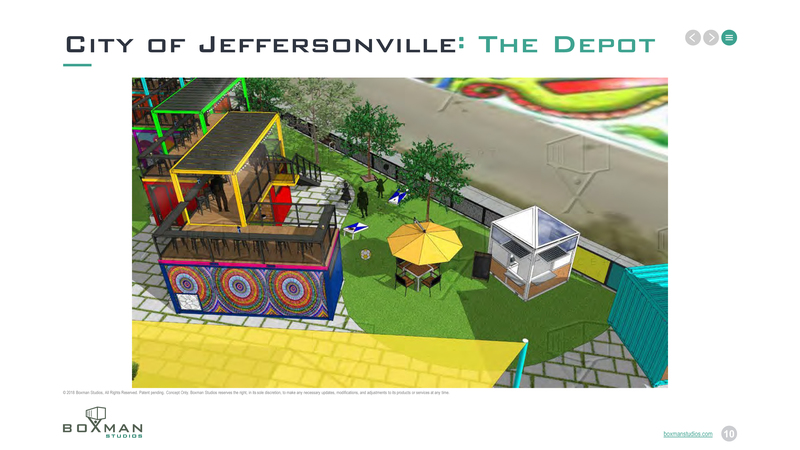 The Depot Entertainment Space (located near the Arts Center) is currently in early development stages. 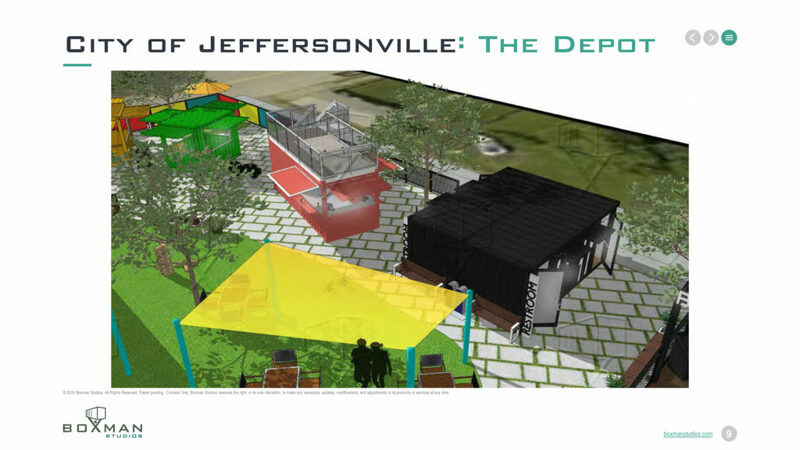 While a contract for construction and operation of The Depot hasn’t been awarded yet, a concept for the space has been clearly established. 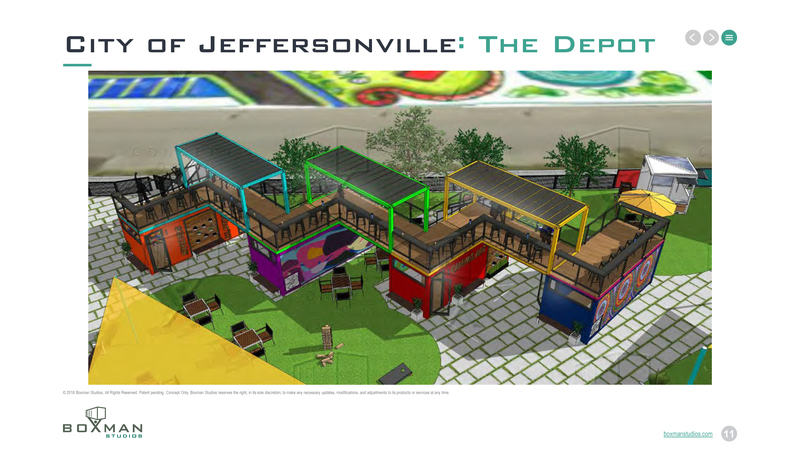 When complete, The Depot will use modified shipping containers to provide the community and visitors with artisan retail space, a permanent stage structure to accommodate various performances, outdoor lower and upper level seating to view the stage and a peppering of food venues. 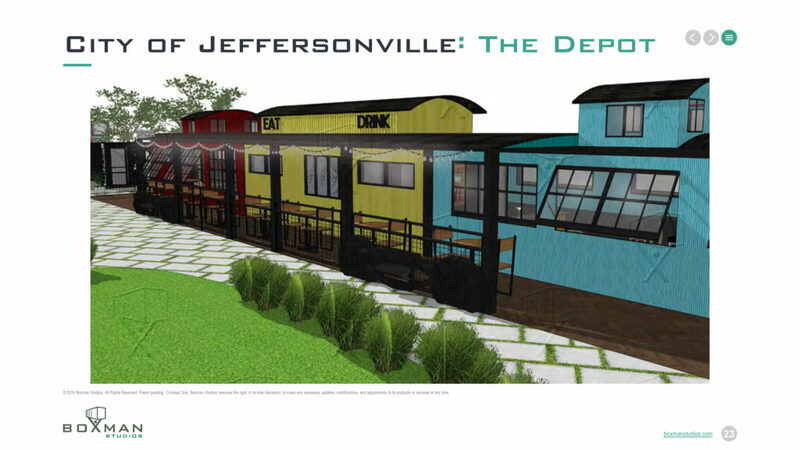 For a glimpse at the proposed plans for The Depot, see below.